There has been a long tradition over the years, when people are visiting the city centre of Manchester, of popping into St Mary’s, the Hidden Gem, in Mulberry Street. It is a great tradition that the parish is inviting us to continue this Lent. 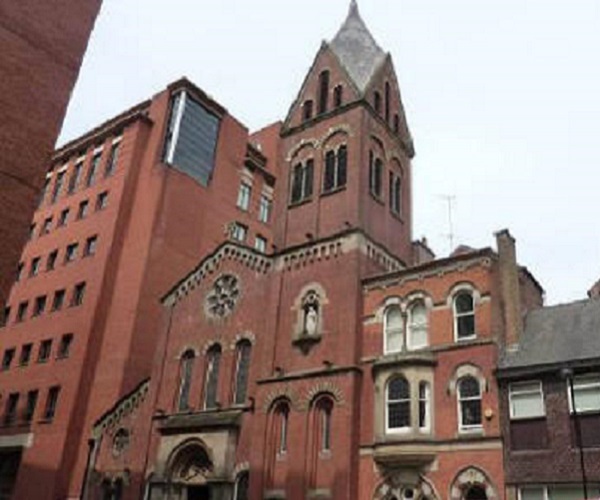 The Hidden Gem, a beautiful little church hidden away in a backstreet not far from Manchester Town Hall, is now at the heart of a bustling commercial centre and, with new apartments being built all around the city, at the centre of a growing population. But it is in the midst of all the hustle and bustle of the daily life of the city centre that the Hidden Gem, over the years, has been a place of quiet prayer and worship. There are plenty of opportunities for times of quiet prayer and reflection in the heart of the city this Lent, with the church being open each day from 8am until 6pm. If you are in Manchester for work, shopping or pleasure, why not call in to the Hidden Gem and spend a little time in quiet prayer? Each weekday during Lent there will be Adoration of the Blessed Sacrament and the opportunity for confession (11.30am), Holy Mass (12.30pm) and Stations of the Cross (1pm). 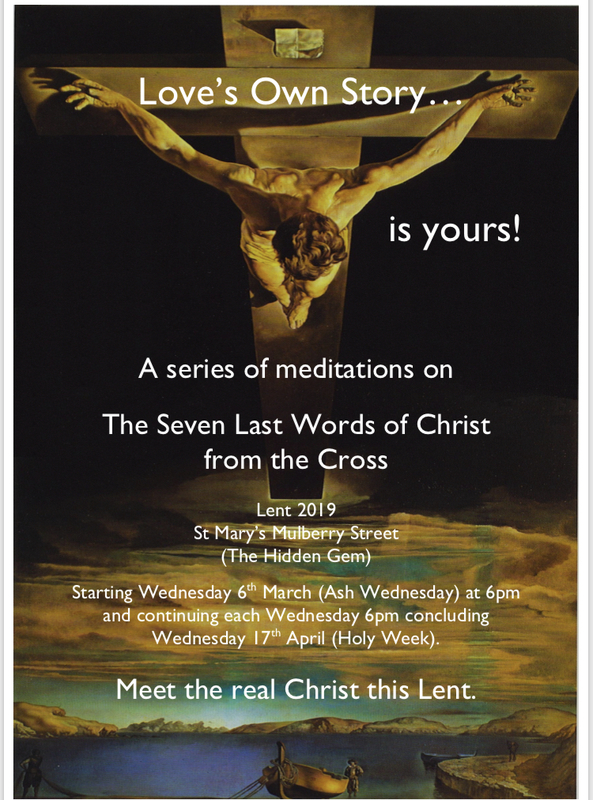 Each Wednesday during Lent there will be an additional early morning Mass (8am) and in the early evening there will be a Lenten Retreat “Love’s own story – yours also” (6pm), a series of meditations on the Seven Last Words of Christ from the Cross.